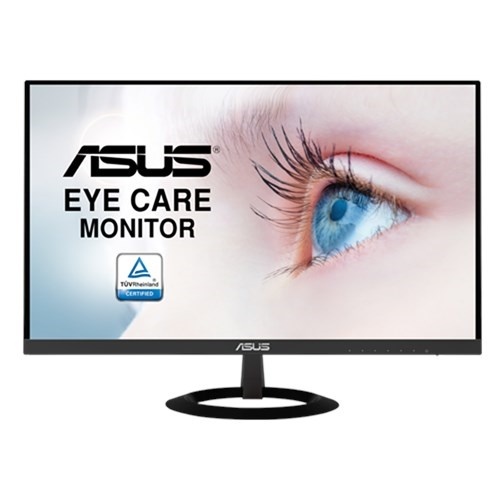 ASUS VZ249HE Eye Care Monitor 23.8 inch, Full HD, IPS, Ultra-slim, Frameless, Flicker Free, Blue Light Filter Stylish ultra-slim profile is only 7mm thin. Frameless design suitable for multi-display use. IPS technology with stunningly wide 178° viewing angles. ASUS Eye Care monitors feature TÜV Rheinland-certified Flicker-free and Low Blue Light technologies to ensure a comfortable viewing experience.